Lots of goldish hues in this game. 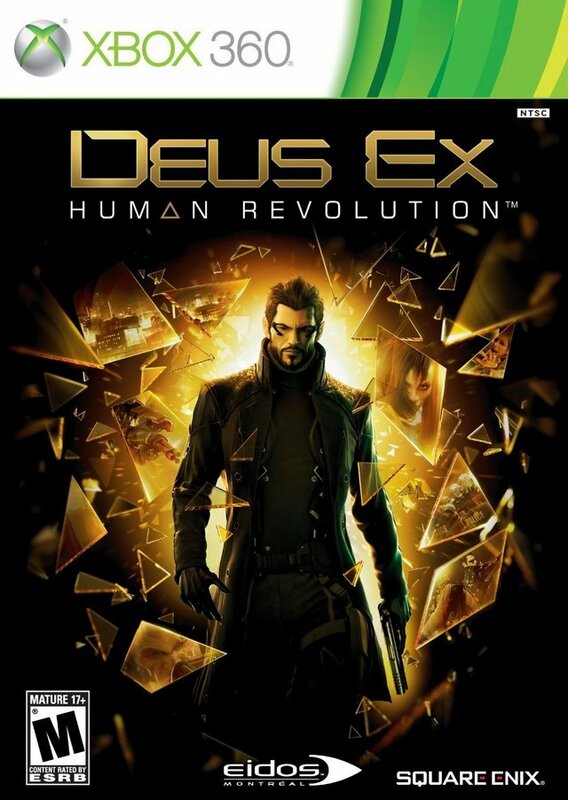 2011’s Deus Ex: Human Revolution was the first product of Eidos Montreal. Charged with the task of revitalizing the long-dormant Deus Ex franchise, I consider it an overwhelming success. Taking place in 2027, the game is set amongst the backdrop of contentious debates regarding human augmentation. 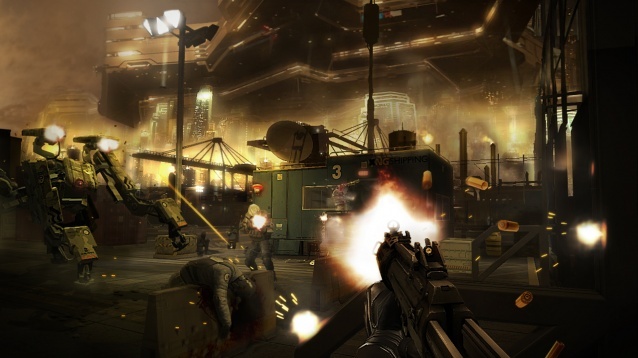 The gameplay is an amalgamation of first-person shooting, stealth, and role-playing style character progression that offers the player choice in approaching confrontations. Further complimenting player choice is the level design – funneling the player towards objectives while offering multiple paths. These elements, aided by the fantastic art design, combine for a laudable single-player experience. On the eve of a hearing in Washington D.C. regarding regulation of human augmentations, Sarif Industries – a Detroit, MI based manufacturer of human augmentations – is the victim of sabotage. The lead scientists are abducted and the company’s security officer is left on the brink of death. He is resuscitated and implanted with many augmentations, becoming more than human. 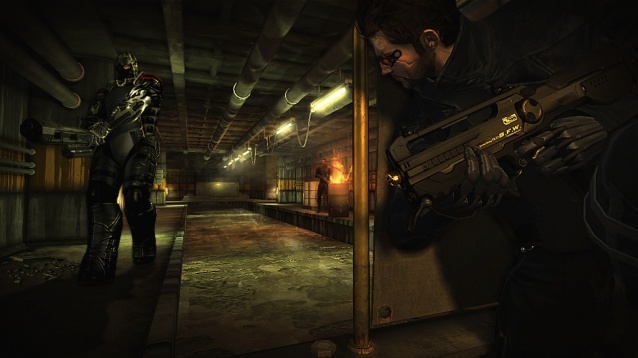 Upon his awakening, Adam Jensen thirsts for answers and, along with the company’s founder and CEO David Sarif, wants revenge. Adam’s quest takes him from his home in Detroit to Montreal and Shanghai. Along the way, he encounters every side of the human augmentation debate and the corporations and politicians who have major voices in shaping the future. Conspiracies and betrayals were prevalent in the two dozen hours it took me to complete the game. Every major player and corporation seemed to have ulterior motives, and I could identify with, or at least understand, the positions everyone took. If done correctly, players have the choice of four endings, each of which I could sympathize with partially. After viewing them all, I reflected on the concepts laid before me by the thinkers in this game’s world and on my part, I extracted those philosophies to other areas of human nature. In that aspect, I found the game to be very thought-provoking. I wouldn’t describe the blend of gameplay styles to be provocative however, as they seem like a combination that is becoming ever more common these days. At the very least, the adaptation of RPG style skill trees is becoming increasingly prevalent in all styles of games. On a side note, that was sort of a trend in the seventh generation of home consoles, wasn’t it? In my mind, what makes this game stand out is the viability of either a lethal or non-lethal approach. I decided from the get-go to complete the game non-lethally and at the same time, attempted to do so without being seen and setting off an alarm. This involved reloading many saves and I wasn’t successful on the second objective, but I never felt like I couldn’t do it. In many games that offer this sort of option, it seems that the odds are stacked against the players who choose the stealthy route. I didn’t have that sentiment at any point. Like most everything else about this game, the characters were interesting. What assisted this viability was the open-ended design of the levels. They were linear in a sense as most usually led to a singular endpoint, but as I compulsively explored I stumbled upon many routes propelling me forward. I’d generally choose the one most suited to my stealthy motives. Outside of these mission-based levels were the cities of Detroit and Shanghai. Both were open-world hubs that offered numerous NPCs and side quests. The cities also showcased the dystopian future that Eidos Montreal envisioned for the game. The art design in general was highly influenced by other works of pop culture but I still found it fascinating and cohesive throughout the game’s entirety. 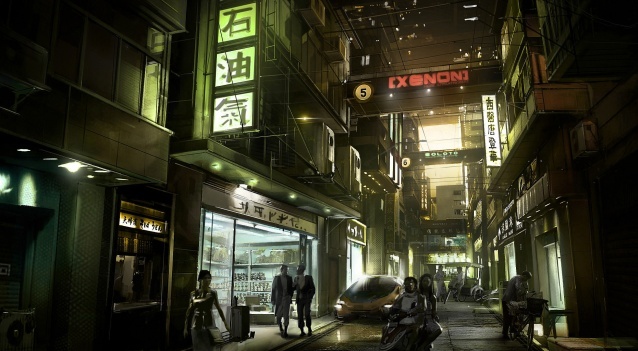 This concept art of Shanghai perfectly illustrates the actual cityscape in the game. My exposure to the original games is slight – I played a fair amount of Deus Ex: The Conspiracy on the PS2, of which I remember liking it and not completing it, and although I haven’t played it, I know that Invisible War wasn’t as well received as the original. So while I may not be the definitive source on judging how well Eidos Montreal did in reviving the series, it’s hard to argue that Human Revolution isn’t fantastic. The game dealt with a serious topic in a mature way and was thought-provoking throughout, but the ending in particular summarized each viewpoint well. I also thought highly of the gameplay and level design; especially the ability to play through stealthily and not feel inadequate in any way. Of course, the overall art design was awesome too. 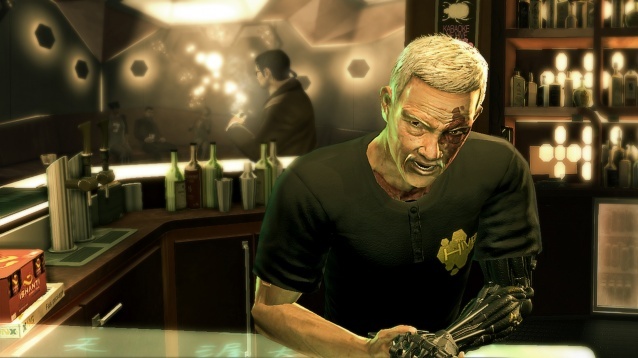 All in all, Deus Ex: Human Revolution combined many elements to form a cohesive, worthwhile, adventure. The game sounds interesting. I think I might check it out. It’s stellar. I really enjoyed it. Plus the director’s cut was just released for basically everything but the PS4 and Xbox One. If you try it, I’d probably get that version. How different is the Director’s Cut from the original version? I need to know if I should get both versions and compare or just skip the original. The DLC is included, the bosses were reworked, (what I consider major) gameplay tweaks, and a host of additional bonuses. The narrative remains the same, although apparently the game’s DLC (The Missing Link) makes a lot of sense if it’s played at a specific point in the game. It might be interesting to see how the boss fights compare between the two versions, although I’m fixing to post a critique of the way they’re handled in the original version. Honestly, I’d check out the Director’s Cut. So nothing too major was changed. Okay, thank you.